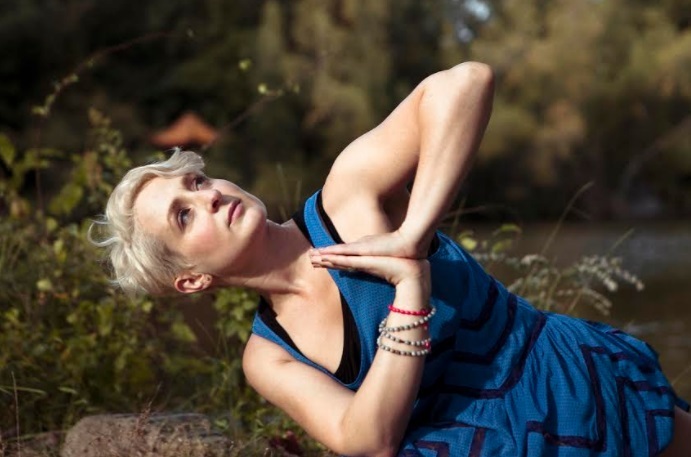 Keri Setaro is a New York based Inner Yoga, meditation and vinyasa teacher. 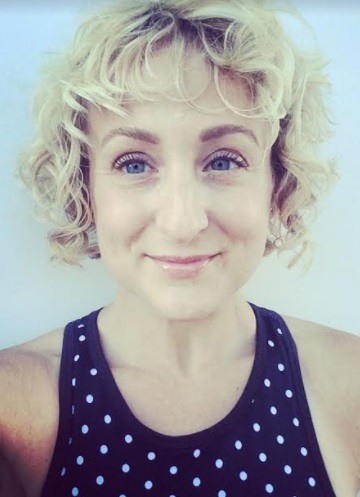 She firmly believes that a good hard belly laugh is the best kind of yoga there is and is passionate about making yoga accessible to everyone. She works as a transformative retreat leader all over the world and has deep calling for helping people to deal with their depression, stress and anxiety with meditation and yoga. I think what I do best is relate to people. I am always ready to crack a joke or share a personal experience no matter how embarrassing. I want people to feel community to feel like they are not alone and I think I am really great at making people of all ages and walks of life feel comfortable and like they are part of a larger energy. I consider my biggest gift and my passion “inner yoga”, dharma, meditation, deep interpersonal work and development and life coaching and and yes some physical asana and my aspiration is to find a platform in which I can share this. It isn’t quite in the physical asana classroom, and so I am working to find a title for what this thing is and a way to bring it to the masses:) To help lead people through their storms and come out stronger and with clearer sight, and teach them the tools so they know how to guide themselves through it the next time around. To bring that deep sense of community and togetherness as well so people realize and really feel in their beings that we are all made up of the same stuff. My former career was as an artist and another aspiration is to find a deeper balance between my artistic self and career and this holistic healing self. I tend to focus really completely one at a time and I would love to be able to give my energy to both equally and have them feed into each other and be integrated. One of my proudest moments to date was after many many years of working as a very serious actress in my previous career getting a full page color review in the Sunday New York Times. It is such a huge deal for a struggling artist. As a child growing up dreaming of being an artist in New York City I would always say I hope to some day be in the New York Times, and then it happened!!! A big ole picture and a positive review of my performance. I know it seems superficial but since I was 3 years old I have spent 4/5 days a week taking various artistic lessons and spent all of my time and my education on pursuing it so completely that this was more than just vanity to see my name and face and a glowing review. It was a feeling of completion and pride in myself and my hard work. I felt like I had been really SEEN and HEARD on a very deep deep level. Also totally weird answer but I am super proud of my relationship at the moment. My personal life romantically has not ever been my number one priority it has always been my work. In the last 5 years I decided to work on the wound that was my heart and finally give the attention that that I had my career and in doing that I found love. I am super proud of the time and nourishment of this love and this relationship. When I decided to take a step away from my successful acting career about 10 years ago because I realized that it was making me mentally unhealthy it was a very difficult choice. I was at the top of my game, I was not struggling and I for all intents and purposes was “living my dream”. When I took a hard look and realized it was not fulfilling me emotionally and was reinforcing really negative thought patterns I decided to step away. In doing so I took a huge risk and honestly had to start from the bottom again. I was a nobody at whatever the next endeavor I was choosing to take on. There was so much fear. But now I realize the most important thing is that you the person is happy and whatever you choose to do you choose to do. If it isn’t making you happy it is not worth it! Drew Barrymore has always been a huge role model. She for all intents and purposes has every right to be a diva or a mean person. She has had so much personal struggle and had a rough family life, but instead she is the most normal down to earth and lovely human being. She is ALL LOVE. She is completely transparent about all of her failures and also of her successes. Her transparency and vulnerability is so brave and so beautiful. She really has inspired me to not let the difficulties of life make you hardened. Abe Lincoln I have been obsessed with even as a child. His depression helped drive him in all that he did. His drive for educating himself. Samuel Beckett is an all time favorite. His writing is seemingly so bleak and yet in that sadness there is always hope. He also has a fascinating story. Being a super flowery writer starting out then having WWII happen while he was living in France. Seeing his world destroyed. He became a spy and worked for the French Resistance as a translator. He had to flee his home just minutes before Nazis raided his home. He lived in exile for years, and when he came back home all he saw was destruction and he realized he could no longer write in that way. The world wasn’t flowery anymore. So he changed his style. But even in that bleakness he saw hope and so all the stories have that in them after that point. He is a genius. I have been going to Costa Rica for almost 11 years now. It is my absolute happy place, love it there. I grew up on the beach so in general beach locations really bring me back to self. Its like medicine. Rincon, Puerto Rico is another favorite place. I also have a deep deep love of Scotland. I lived there for a little bit and its really magical there. I love to travel. Smells are important to me, so I always have certain essential oils or candles or things that give me a sense of home even when I am away from the house. Badger Balm makes some relaxation and meditation balms that I use all the time in class. Books, of all kinds… I am a voracious reader. I love The New Yorker magazine. I get non stop inspiration as a teacher by The New Yorker! I also have been really getting passionate about investing back in my city. I live in New York and I moved here because of all the things that were going on artistically and being able to interact with so many different kinds of people and experience their culture and their lives. Life and work has gotten in the way these last few years and so this year I am passionate about getting back to really experiencing NEW YORK! I want to invest in experiences and not things. To get out there and breathe in all that it has to offer!! !